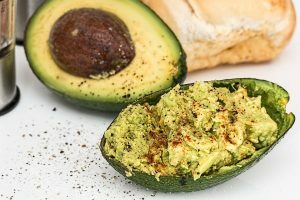 Two of Australia’s leading academics in nutritional health have taken a swipe at the current orthodoxy concerning which fats are health or unhealthy. Professor Andrew Sinclair of Deakin University and Professor Robert Gibson from the University of Adelaide, were two of the speakers at a recent food industry symposium hosted in Melbourne in April 2016. Professor Sinclair explained the new research which strongly suggests saturated fats are not as bad as the health warnings say. Saturated fats are found in meat, dairy products, such as butter and full cream milk, and some plant-based fats such as coconut oil. Aside from a long history of consumption, saturated fats were traditionally used in food processing for their natural attribute of being solid at room temperature. Yet for the past several decades, consumers have been warned off them as “bad fats”. Australians on average eat 75gm of fat daily of which 46gm is saturated fat daily. Professor Sinclair highlighted a study published the British Medical Journal in 2015 which found that saturated fats ,in fact, are not associated with all-cause mortality, cardiovascular disease, coronary heart disease, ischaemic stroke or type 2 diabetes. The same study also found that many trans fats are mainly derived from the hydrogenation of polyunsaturated fats and are strongly associated with all-cause mortality, total coronary heart disease, and coronary heart disease mortality. Other research referred to by Professor Sinclair had identified a taste receptor for fat which varies among humans, providing support to the proposition that some people naturally gravitate towards fatty foods for the taste. The University of Adelaide’s Professor Gibson said it was inflammation that was the key determinate of tissue damage and metabolic changes if uncontrolled. It is the component of many diseases and conditions, and its prevalence has been associated with excessive of polyunsaturated fat omega 6. Omega 6 fats have grown in consumption through the dietary consumption of polyunsaturated fats. Yet they cause an accumulation of high amounts of arachidonic acid in humans. By contrast, studies showed that omega 3 fatty acids (such as fish oils) can have a good anti-inflammatory effect, and may help to control inflammation in patients with frank inflammatory conditions. Over the long term, exposure to omega 3 fatty acids may even help prevent the development of chronic low-grade inflammation associated with allergies. Professor Sinclair suggested healthy fats were those high in monosaturates, and that olive oil and avocado fitted this bill. The studies presented suggest that the total fat in human diets is probably not as critical as previously thought. However the total amount of polyunsaturated fats consumed in the diet should be less than 2 per cent.